Farewell Sony! I’m Loyal to the Experience, Not the Platform. Over 10 years of niche gaming PlayStation greatness. From the PS2 to the PS4. This was the reason Sony was so successful. My first PlayStation system was one of the large PS2’s that was given to me by a friend. 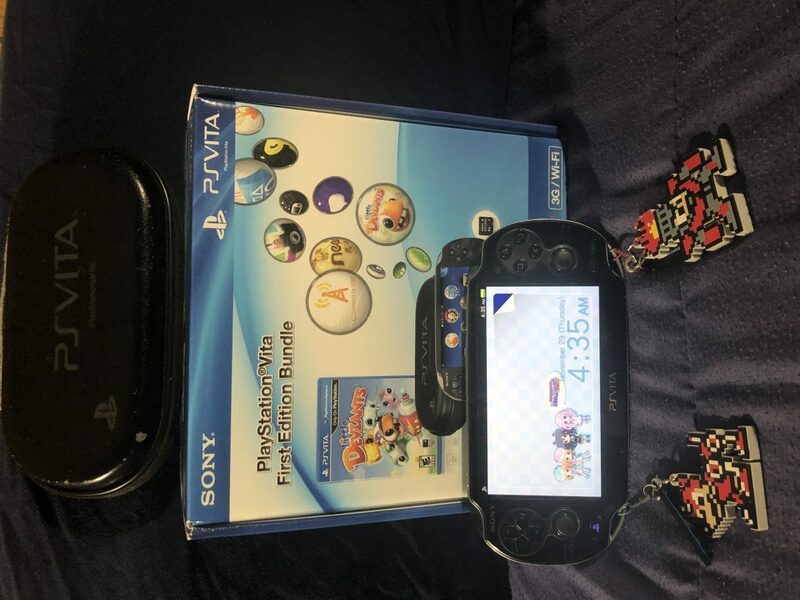 While I no longer have that system, it was the start of my relationship with Sony’s platform. Sure, I had played the PS1 at a friend’s house here and there, but I was firmly a Nintendo kid. I had an NES, SNES, N64, GameCube, Gameboy Color and Gameboy Advance. 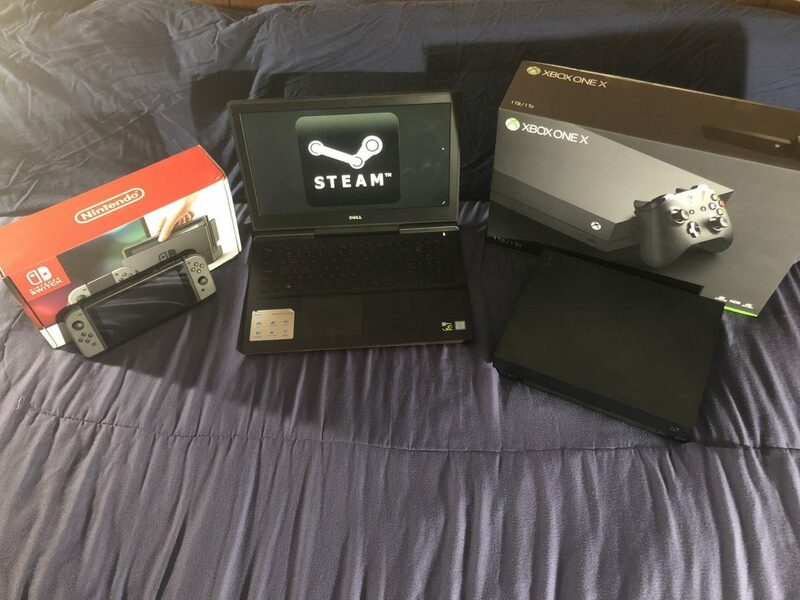 I stayed with Nintendo mainly due to its strong franchises and a lack of my own money to buy other platforms. However, that PS2 opened my horizons. This was around the time I was starting to look up more about my favorite series online and learned there were more Mega Man X games after X3 and learned about Kingdom Hearts. I wanted to experience these titles and these new stories. And I was not disappointed. Sure, some may find this iconic scene cheesy. But for many of us, it was also an emotionally moving moment. Even TV Tropes agrees. 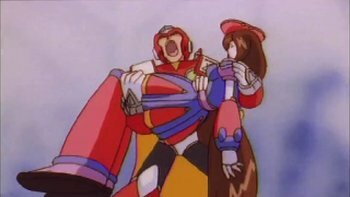 While many poke fun at it, Zero and Iris’ romance in Mega Man X4 left a huge impact on me. The idea of a machine that could “think, feel and make their own decisions” was finally driven home. What Mega Man X1 tried to explain, was brought to life on the PlayStation. The same can be said for Kingdom Hearts. It opened my eyes the idea of a crossover. That two distinct and different universes could come together and coexist while telling a compelling story. And that’s only the start of my PlayStation experience. 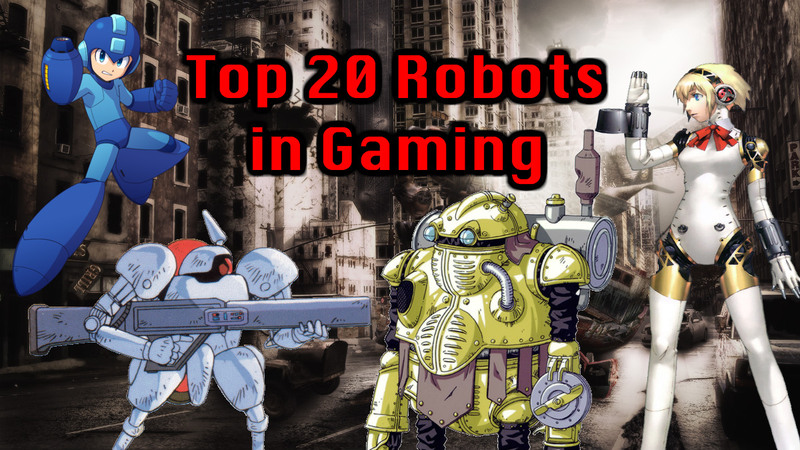 The PlayStation 2 was the console that brought me Super Robot Wars Z. The first title I ever imported. It was the system that gave us the underrated Mega Man X8. Which while not perfect, was still a blast. And it was the system that had the definitive edition of Sakura Wars: So Long My Love. A game that proved console visual novels could be amazing. These were experiences you couldn’t find on a Nintendo console. You couldn’t find them on the original Xbox. These were PlayStation experiences. Japanese games were the bread and butter of Sony’s console. And it’s a trend that continues to this day. 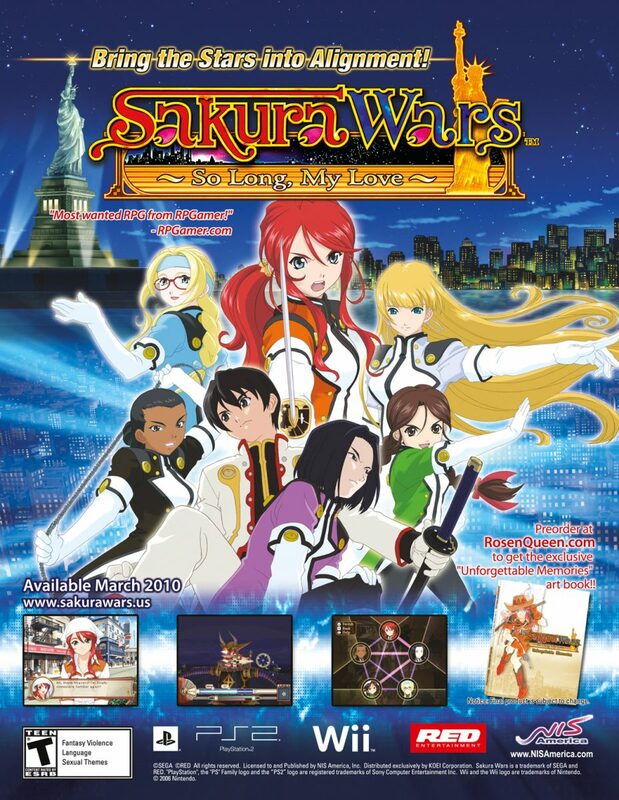 While Sakura Wars: So Long My Love was already an amazing game, one could argue that the PS2’s Premium package was the definitive version of this title. When the Seventh Generation of Video Game Consoles came around, I bought a Wii first. While there were games I enjoyed on the console, I didn’t find it all that satisfying. The next console I bought was an Xbox 360 namely because that’s what my friends had. Plus, games like Dynasty Warriors Gundam and Tales of Vesperia were things I wanted to play. However, once again, there were experiences I could only find on PlayStation. So, I bought a PlayStation 3. Tales of Graces F, the Neptunia franchise, Disgaea 3, Another Century’s Episode: R, Sengoku BASARA: Samurai Heroes, Hatsune Miku: Project DIVA F. These games drove me to the platform and kept me there. In fact, I bought that PlayStation 3 specifically because I wanted to play Valkyria Chronicles and it did not disappoint. 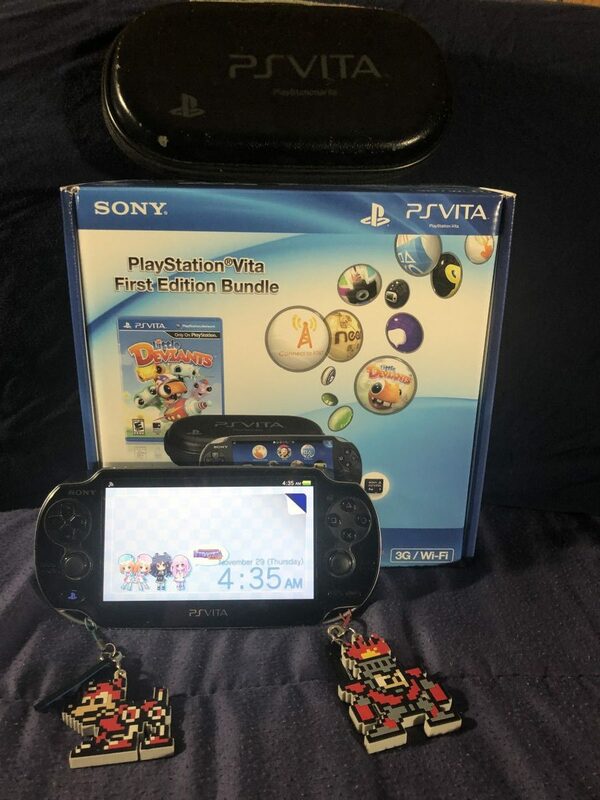 These amazing developers gave me the confidence to buy a launch-day 3G enabled Vita because I knew there would be great games coming in the future. And again, the Vita did not let me down. My launch day 3G-enabled Vita. Sure, the 3G aspect of the system was a bust, but that was the power of Sony. I knew there would be great games on the system and I was not disappointed. From the continuing adventures in the Neptunia franchise; to the suspenseful horror of Corpse Party; to the battle of hope and despair that is Danganronpa. Whether it was Idea Factory International, XSEED Games, NIS America, or any other niche localizer there was always something for me to buy and play. 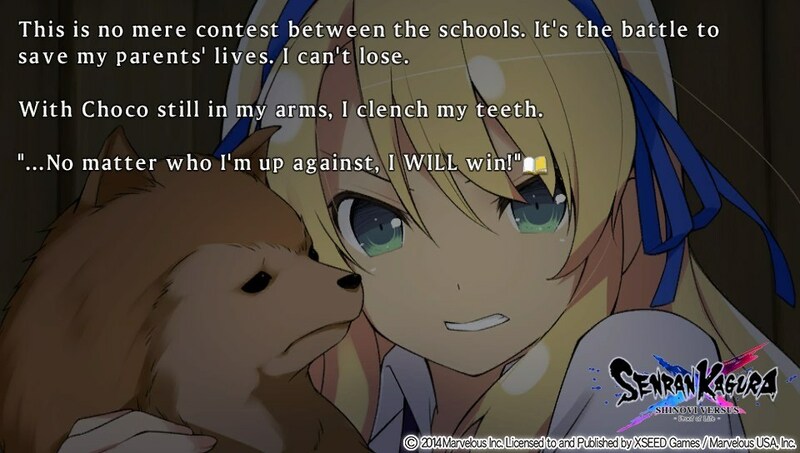 Heck, this was the platform that showed me how deep SENRAN KAGURA’s story was with Shinovi Versus. It was this system that gave us the underappreciated turn-based strategy gem Hyperdevotion Noire, and it was home to one of the first Asian-English releases with Moe Chronicle. Again, Sony had experiences you couldn’t find anywhere else. These games weren’t on the Wii U, the 3DS, or mobile. You had to come to PlayStation to experience them. So, of course, the PlayStation 4 would be just as amazing, right? While SENRAN KAGURA is often seen by many as nothing more than an excuse for fanservice, it does have a deep plot. Which is something I’ve written about before. It was, and it’s the only console I’ve bought twice. Once for the regular PS4 and again to upgrade to the PS4 Pro. It’s the system I bought my Bravia 4K TV for in fact. I wanted to enjoy these awesome experiences to their fullest. I even bought a PSVR once Idea Factory International showed me the VR scenes in Megadimension Neptunia VIIR. Japanese-niche titles were the thing that kept me firmly in the PlayStation nation. Even while many of these titles were getting Steam or Nintendo Switch ports, I kept buying the PS4 version. I enjoyed the platform and I enjoyed grinding out platinum trophies. Something I’ve been hard at work this year. To date, I have 33 to my name, with 16 of those being earned this year. The majority of which are from the Neptunia franchise and other Idea Factory International games. With some platinum trophies taking easily over 50 hours. Sure, it was a lot of grinding, but I enjoyed it. Not only was I clearing some unique games, but it was a mark of honor. 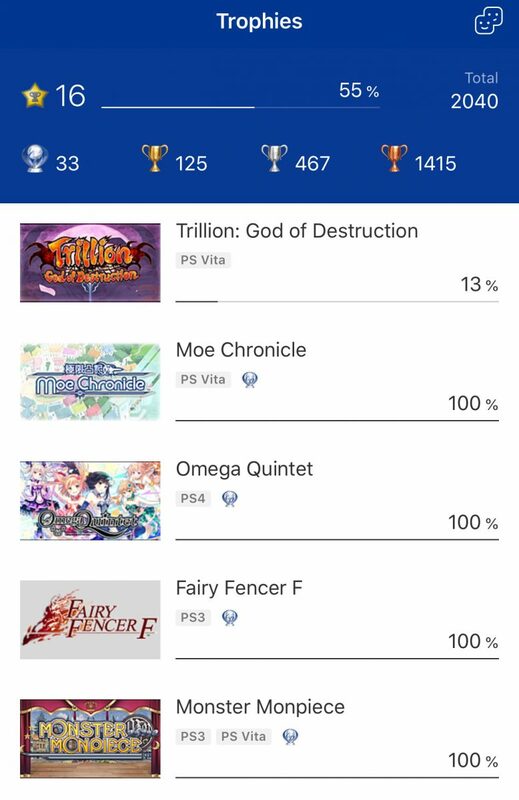 I had played these games to completion and in the case of Omega Quintet joined a select few who had actually accomplished such a task. In fact, I was already planning out my platinum runs for next year. My trophy totals on PSN. This year alone I’ve obtained 16 Platinums. Trillion will be the last one I do for a while. The possibilities were endless. Between the PS3, PS4, and Vita I had well over 60 games I could choose from. Would I try and finish my backlog of XSEED Games’ titles? Perhaps I should finish the Danganronpa franchise instead. Or, I could start tracking down the various visual novels that had been finally coming out on the system. Games like 428: Shibuya Scramble, Root Letter, or the upcoming Steins;Gate Elite. I felt fairly confident I’d be a member of the PlayStation family for a long time. Then things changed. Sony decided to enact a new policy. One that, I personally feel, does more harm to developers than good. And there’s no bigger example of that than how the changes to SENRAN KAGURA Burst Re:Newal were handled. Sony, forcing a localizer to make changes to a localized title right before launch is pretty low. This wasn’t an in-house developed title being submitted for a final content check. This was a game that was released in Japan in February of this year. 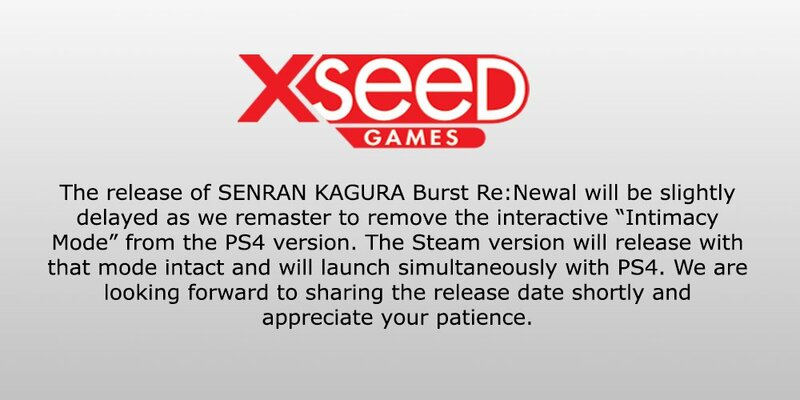 Considering the content of the game, I’m fairly certain XSEED Games and Marvelous Entertainment would have been upfront with Sony over the course of the localization process. Changing the standards by which games are approved right before the release of such a major title, puts a lot of stress and financial burden on localizers. Many of which are small operations. And this was only the start of things. The Tweet that was arguably clued the niche gaming community in that things were not well at Sony and that the PlayStation platform was about to undergo a massive shift. Thanks to visual novel developer light we caught a glimpse of another aspect of Sony’s new policy. Apparently, Japanese developers are required to submit games to Sony Interactive Entertainment (SIE) for content inspection, even for games that will only be released in Japan. In addition, the developer is forced to submit it’s application and answer all questions in English. To me, this hints a Western branch of SIE is handling these content inspections. Which is where I really have an issue. While one could make a case that Burst Re:Newal caught SIE by surprise, this is just in poor taste. A Western entity may be deciding what content is and is not appropriate for a Japanese audience. While there are valid arguments that can be made as to what content is and is not appropriate. I’ll argue that discussion needs to take place amongst the Japanese people. If a change needs to be made, it needs to come from within. Otherwise, all you’re doing is giving the publishers and developers in Japan a very valid reason to leave your platform. Just like I am. A comparison of the same CG from three versions of “Nora to Oujo to Noraneko Heart.” Take a guess which one is the PS4 version. This decision has made me start seeking other platforms to play on. Sure, I’m not going to toss out my PlayStation library. But I’m not going to be buying new titles for that platform if I can help it. If there’s a Steam (Steins;Gate Elite), Switch (Super Neptunia RPG), or Xbox One (Warriors Orochi 4) version of a title I’ll gladly pick another platform to play on. 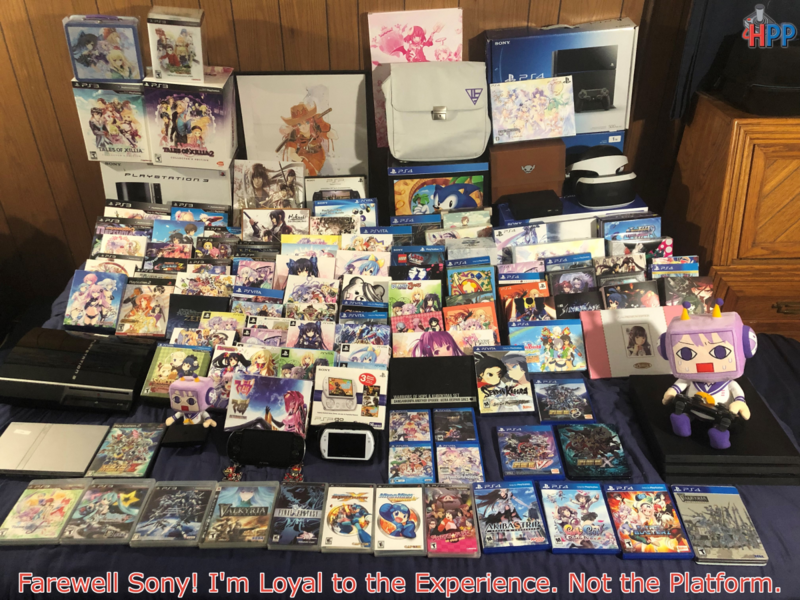 For you see, it’s not Sony where mine or any gamer’s loyalty lies. It’s with the developers and publishers who provide unique experiences for us. 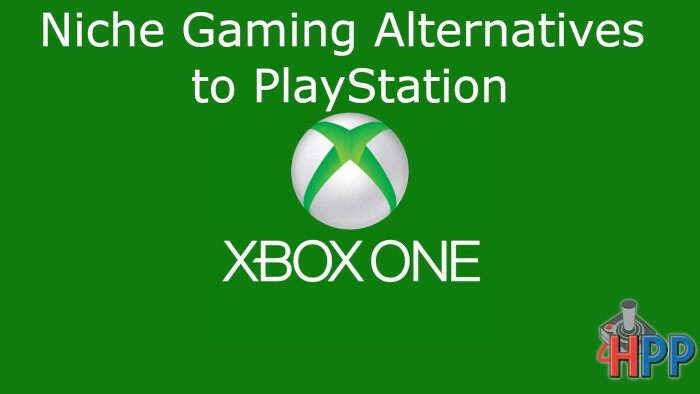 Sony may supply the hardware and the publishing platform, but that alone doesn’t create the unique experience that keeps a player on one system. It’s the games that do. 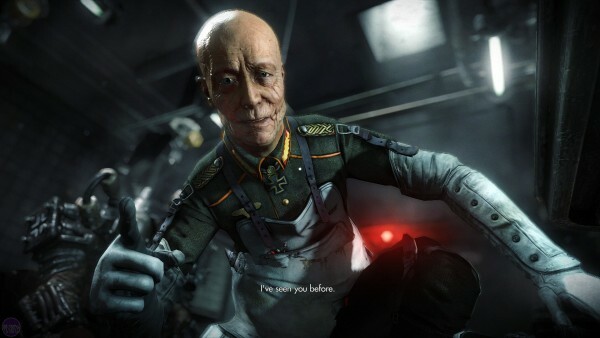 The stories, the struggles, and the joy that we feel when playing our favorite titles. Either alone on the couch to relax, with a group of friends at a party, or streaming to the internet so we can share those moments with people across the globe. Games are the reason we play and if the people who create those experiences are unfairly handicapped or treated poorly, we can find another platform to have those experiences on. After all, why would I continue to game on a platform that’s not going to provide the experience the developers wanted to give me? Farewell Sony! While before you were the only game in town, the world has changed and become more accepting of niche gamers. A gamer since the days of the NES and SNES and a reporter since 2015. This hat-wearing otaku loves niche Japanese games, but has a soft spot for visual novels, Super Robot Wars, Mega Man, yuri, and Nepgear. 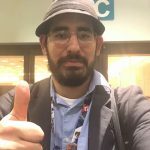 Benny has covered E3 and Anime Expo since 2015 and served as Operation Rainfall’s Visual Novel Manager. Now, this seasoned reporter spends his days trying to clear his epic backlog in between writing analytical articles and reviews.